Point2 Homes gives you far more than a simple list of houses for sale. Get instant access to a lot of relevant information about Kelowna, BC real estate, including property descriptions, virtual tours, maps and photos. The search results pages also have a wealth of information on Kelowna, BC, if you scroll all the way down. There are houses for sale in Kelowna, BC. 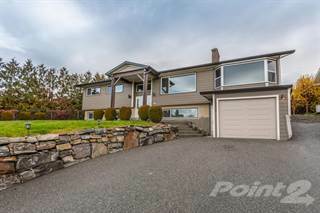 Searching homes for sale in Kelowna, BC has never been more convenient. 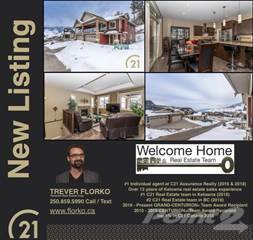 With Point2 Homes, you can easily browse through Kelowna, BC single family homes for sale, townhomes, condos and commercial properties, and quickly get a general perspective of the real estate prices. Also, you’ll never miss a bargain if you filter listings based on house price drops in the past six months. Use the map view to find Kelowna, BC homes and apartments for sale, based on amenities or city features that you may want close by. You can close in on a specific neighbourhood or area by simply drawing around them with the polygon or radius tools. Stay informed about the latest entries on the real estate market by saving your searches. This way, you get new listings in your inbox, daily or every week, based on your preferences. If you’d like to get in touch with a professional, agents are displayed next to their listings, and they’re easy to contact through the online forms. If you want more options, you can click the Tools tab and Find an Agent, and you’ll get a list of helpful and knowledgeable real estate agents in Kelowna, BC. Visit the Point2 Homes blog and you can find up to date expert advice on many markets throughout Canada, regular market reports, neighbourhood scoops in cities throughout the provinces, real estate deals and useful recommendations. Kelowna is located in the Okanagan Valley in the province of British Columbia. It has a population of over 117,000 people in the Metro area and covers an area of 2,905 square kilometres on the shores of the Okanagan Lake. It is the third biggest metropolitan area in British Columbia. Its name comes from the Okanagan language and it means “Grizzly Bear”. One of its nicknames is the Orchard City, because of its expansive orchard growing. The main industries in the city are agriculture, forestry and manufacturing. The agricultural sector thrives here because of the warm climate in Kelowna. The city is located in the Okanagan Valley, which makes it accessible from many of the major urban areas in the United States. This makes trading more accessible to these areas. Kelowna offers entertainment of all kinds. Shopping, parks and sports are just some of the entertainment in Kelowna to enjoy. Kelowna is the home of the Kelowna Rockets, their Western Hockey League team, and the Okanagan Sun, their Canadian Junior Football League team. The Kelowna Rockets play at Prospera Place and they have been the WHL champions four times. The Okanagan Sun play at the Apple Bowl and they have won the Canadian Bowl twice. Both teams offer quality sports entertainment to the city. Kelowna has many places to shop and dine as well. One hotspot for shopping is the Orchard Park Mall. It has over 170 stores. It is located just south of Dilworth Mountain. Kelowna is rich in parks and beaches. There are 3 provincial parks in the city, Okanagan Mountain Provincial Park, Myra-Bellevue Provincial Park and Bear Creek Provincial Park. The provincial parks are a great place to experience nature and they provide activities like fishing, canoeing and biking. For the hot summer days, there are beaches. A few beaches you can find here are Boyce-Gyro Beach, Hot Sands Beach and Strathcona Park. There are three main areas in Kelowna: Kelowna, West Kelowna and the Surrounding Areas. These three areas are home to many communities that offer residential and commercial spaces. In the Kelowna area, there are a number of communities and residential areas. Communities such as Black Mountain, Dilworth Mountain and Upper Mission can be found here. Black Mountain is a neighbourhood that is close to Downtown Kelowna. It has a golf course with surrounding residential housing. Dilworth Mountain is one of the most central areas that are close to many major attractions in the city. There are both residential and commercial areas here. Upper Mission is generally close to the central areas of Kelowna. There are mostly residential areas here, but there are small shops and restaurants in the area as well. Additionally, there are plenty of outdoors activities here with the parks and trails located in the neighbourhood. The communities in West Kelowna are a good distance from the central areas of the city, but they do have their own amenities to make up for the distance. There are communities such as Westside, Shannon Lake and Lakeview Heights here. Westside is within a half an hours drive to many of the attractions in the city. The community also has their own assortment of services and shops including banks. Shannon Lake not only has many of the same features but this area is also rich in parkland and outdoor attractions. Lakeview Heights is about the same distance as Westside to major attractions and the community itself has many of the same features as the Westside community as well. The communities in the surrounding areas of Kelowna are the farthest from the central areas of the city. Some communities in the surrounding areas are Peachland, Joe Riche and Lake Country. Peachland has many types of restaurants and plenty of shopping. There are parks here as well. Joe Riche isn’t as far from the central area of Kelowna as some of the other areas. It is close to the Big White Ski Hill Resort. Lake Country is a small town that is placed in a scenic area. There are commercial areas here with stores and restaurants. There are also plenty of opportunities to get out into nature and visit sports fields or playgrounds with the kids. In Black Mountain, there are detached and single-family homes as well as townhouses. Almost every property in this area is owned, with barely any properties being rented. Although the houses tend to be older, the community has been under development. In Dilworth Mountain, there are single-family homes, townhouses and condominiums. Houses in this area are typically affordable. Upper Mission has single-family homes and townhouses. The properties here are large and spacious and many of them have breathtaking views. 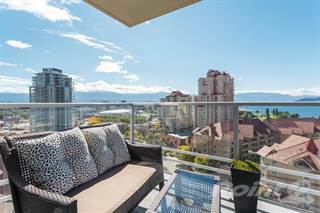 Downtown Kelowna offers low-rise apartments. There is a balanced split between properties that are owned and properties that are rented. The houses here are older. Westside has detached, single-family, multi-family homes and condominiums. This area grows rapidly so home developments are common. Most properties here are owned while fewer are rented. The houses aren’t too old, but with new development newer houses are present in this area. Shannon Lake has single-family homes, townhouses and condominiums. Most properties here are owned as well, with a low amount of rentals. The houses in this area are newer. Lakeview Heights is filled with townhouses and single-family homes. The houses in this area are older and the homes are owned for the most part. Peachland is a small town and has townhouses, single-family homes and condominiums. The houses are a mix of newer and older houses and some houses have incredible views. Lake Country has townhouses, condominiums and single-family homes. The properties in this area are affordable and they are in rural areas. The school district for primary and secondary education in Kelowna is called the Central Okanagan School District (School District #23). There are 41 public schools (elementary, middle and secondary) in the city. Some of these schools offer French immersion. There are three libraries for students to visit in the city as well. As for post-secondary, Kelowna offers plenty of options. Some of the colleges and universities in the area include University of British Columbia Okanagan, Okanagan College, British Columbia Institute of Technology and Career City College.